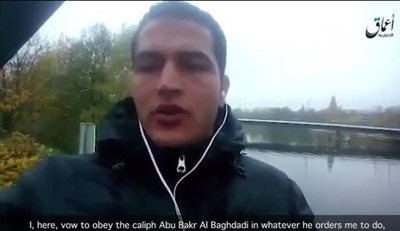 Last week's terrorist attack in Berlin by radical Islamist Anis Amri is flooding media outlets with continued questions about what authorities knew and when they knew it. The search for answers to prevent it from happening again requires solid data from reliable sources. We are consumed with obtaining the facts. As the layers of this case are peeled back and the process of drilling down on the facts of Amri's life occurs, we find more and more of what was already known, and we ask, did authorities miss something? We get up in the morning and listen to the traffic report so we know the best way to travel to work and how to avoid traffic jams. We listen to the weather report to determine how to dress appropriately for conditions like rain or snow. If we listen to those reports and then don't apply the information, we put ourselves in an uncomfortable situation with predictable consequences. In the arena of counter terrorism, however, that neglect can be deadly. We learned this lesson the hard way after Sept. 11. The 9/11 Commission described incidents of "missed opportunities" and detailed one of the reasons being the failure to share information between agencies. Another was the inability to collect and analyze data (information). New intelligence gathering systems necessary to fight terrorism were designed and put in place. Still radical Islamists are able to carry out isolated incidents of terror. Why? When he was released from prison, Italian authorities tried to send Amri back to Tunisia and failed. He was then allowed to migrate to Germany because of its lenient immigration policies. German officials tried to deport him but again were thwarted by the Tunisian government's refusal to accept him. The European Union's dilemma since the migration of millions from war-torn areas of the Middle East pits compassionate open borders versus national security.